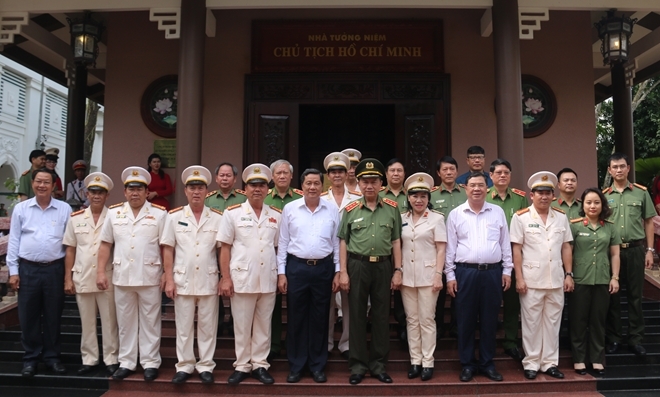 Minister of Public Security To Lam visited and worked with the Municipal Police Department and Fire Police of Can Tho on Oct 13. 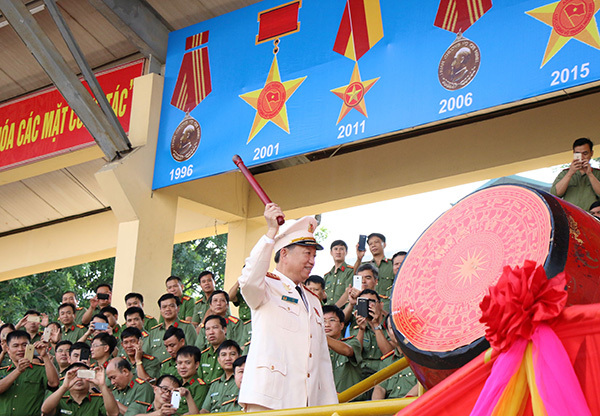 The People’s Police Higher School 3 (T49), based in Can Tho, organized a ceremony to open the new academic year 2017-18. 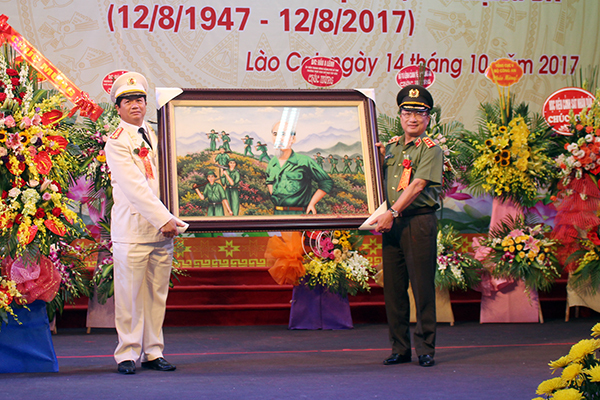 The Lao Cai Provincial Police celebrated its 70th founging anniversary (August 12, 1947 - 2017) and received the third-class Fatherland Protection Order on October 14 morning. 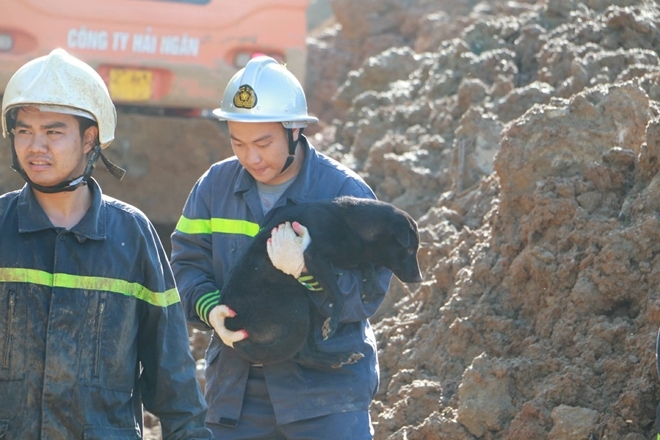 The northern mountainous and northern central provinces have recently witnessed continuous heavy showers on large scale, causing floods and landslides, resulting in home collapses and traffic congestion. 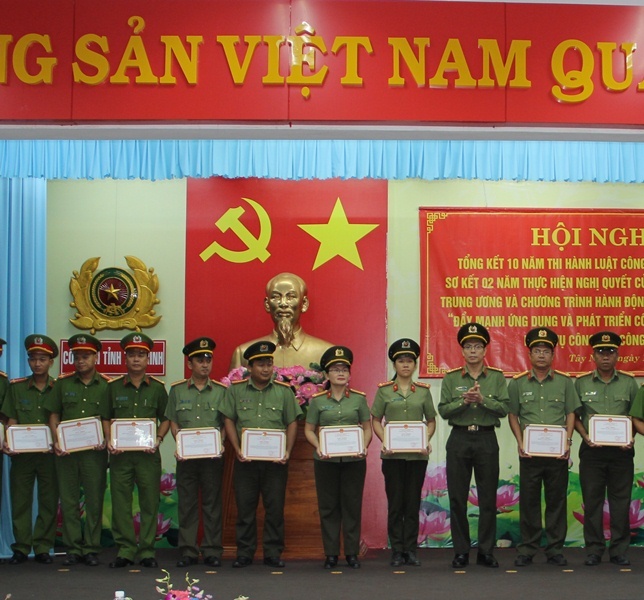 The Tay Ninh Provincial Police has built other 3 software applications namely: software of crime reporting and criminal investigation; software of management of newly released prisoners; software of fining administrative violations of order and security and management of drug addicts. 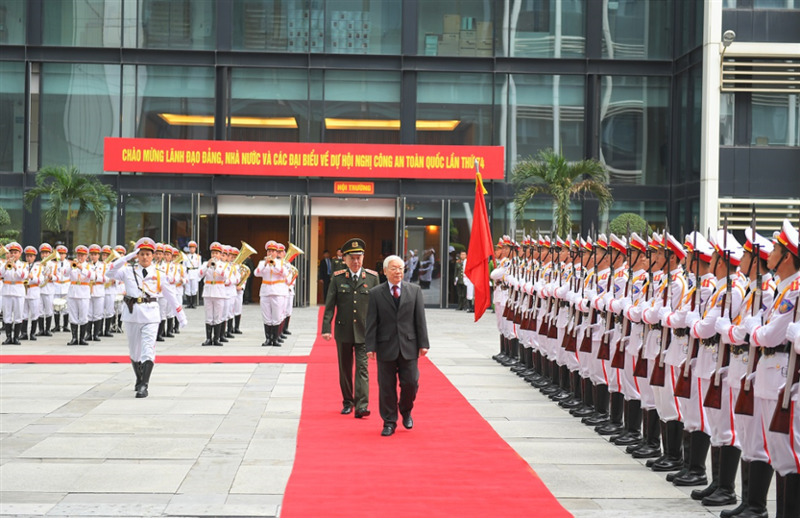 Senior Lieutenant General Bui Van Nam, Member of the Party Central Committee, Deputy Minister of Public Security on October 12 had a working session with the APEC 2017 Security and Order Subcommittee. 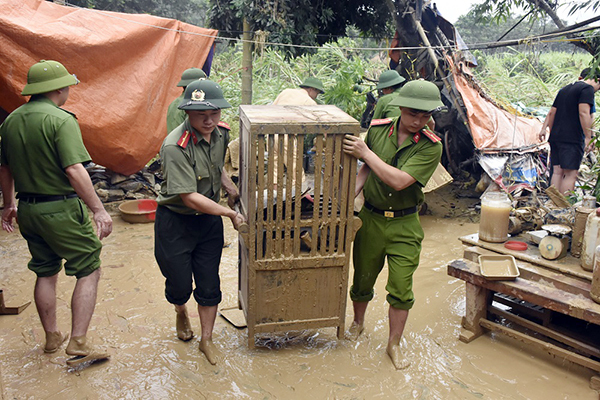 In Dispatch No.14, Lieutenant General Pham Quan Cu, Director of the General Department of Logistics and Techniques (G.D 3), orders all public security forces to proactively respond to developments of the coming storm and its potential consequences. 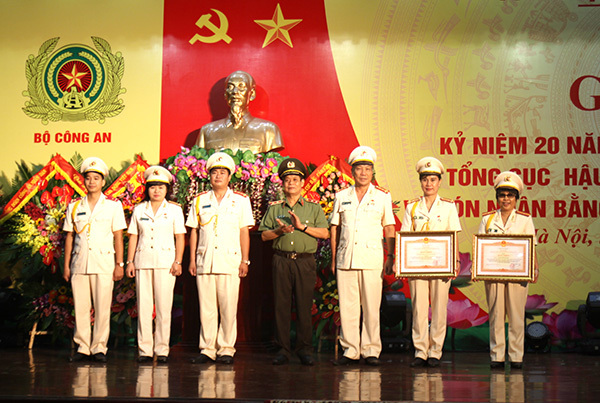 The General Department of Logistics and Techniques (GDLT) organized a meeting on October 12th to celebrate its 20th founding anniversary of its Trade Union organization, and to receive a certificate of merit from the Prime Minister. 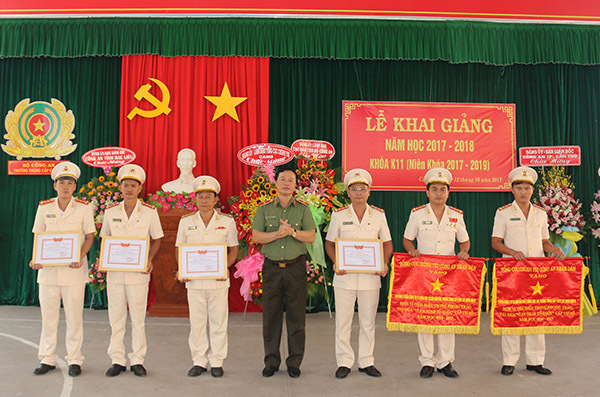 The Public Security Academy (PSA) on October 12 held a solemn ceremony to open the 2017-2018 academic year. 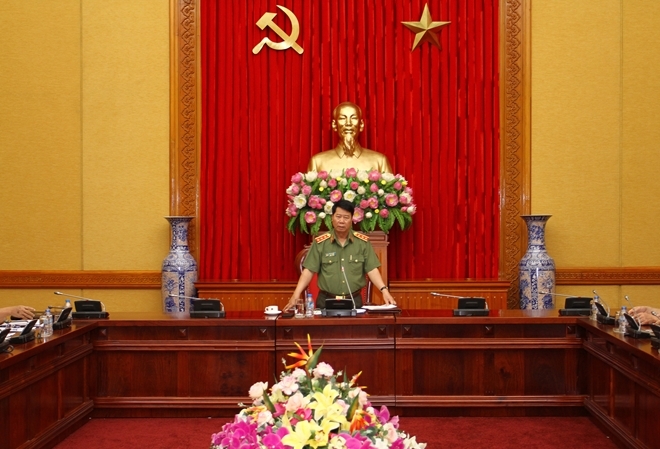 Senior Lieutenant General, Prof. Dr. To Lam, member of the Politburo and Minister of Public Security attended and made a keynote speech at the meeting. 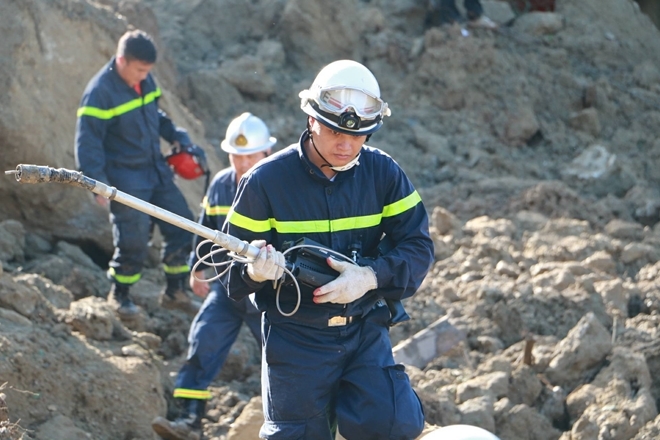 Senior Lieutenant General To Lam, Minister of Public Security, on October 12, sent a dispatch to leaders of General Departments, Commands and other units under the Ministry of Public Security (MPS), provincial and municipal Fire Police sub-Departments on response to natural disasters.